Jill Sigelbaum joins FXall after spending nearly thirteen years at NEX Traiana in a variety of senior level roles. 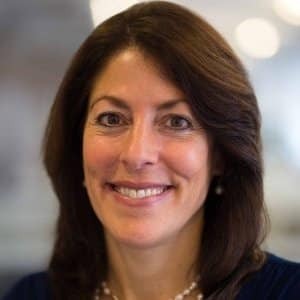 After a lengthy career at NEX Traiana, Jill Sigelbaum is on the move to Thomson Reuters, taking up a new role as the Head of FXall. In this capacity, she will help steer the electronic trading platform while based out of New York, . Ms. Sigelbaum will be parting ways with NEX Traiana following a tenure spanning over fourteen years. At NEX Traiana, she worked in a multitude of senior level roles, being promoted several times during the duration of her career with the group. She began working at NEX Traiana in 2003 as a senior sales executive – this paved the way for her appointment as Head of Global Accounts in 2005, where she helped build a team to manage the group’s growing account base. In 2007 she joined Traiana’s executive management team with the title Global Head of Sales. More recently, she was installed as Traiana’s Global Head of Business Development & Strategic Partnerships in 2012. Her most recent role was as the group’s Global Head of Foreign Exchange, a position she held for over three years, according to information made public on her Linkedin profile.